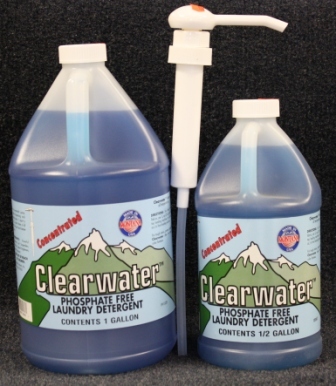 Phosphate free, highly concentrated liquid laundry detergent. Use only 1/4 cup. It cleans in all water temperatures. Mild herbal fragrance.